The Capital of Kefalonia with a population of approximately 13,000 is built on the peninsular of Phanari on the deep water sheltered bay of Agostoli. It is the main administrative, commercial and cultural centre for the island. Argostoli has a wide range of facilities including Banks (with ATM machines) supermarkets, restaurants a wide selection of shops, butchers, bakers, fruit markets and a fish market. The modern town was rebuilt after the disaster of the earthquake of 1953 which destroyed the town. It is well laid out with attractive squares wide streets and tree lined avenues It has a busy harbour with a frequently used by cruise Liners. The rebuilt town does not lack interesting buildings, most of which are public buildings such as the Town Hall, Government House, The Law Courts, The Cathedral and the Theatre. Buses to all parts of the island leave from the new bus station and a frequent ferry services operates from the harbour to Lixouri across the bay. 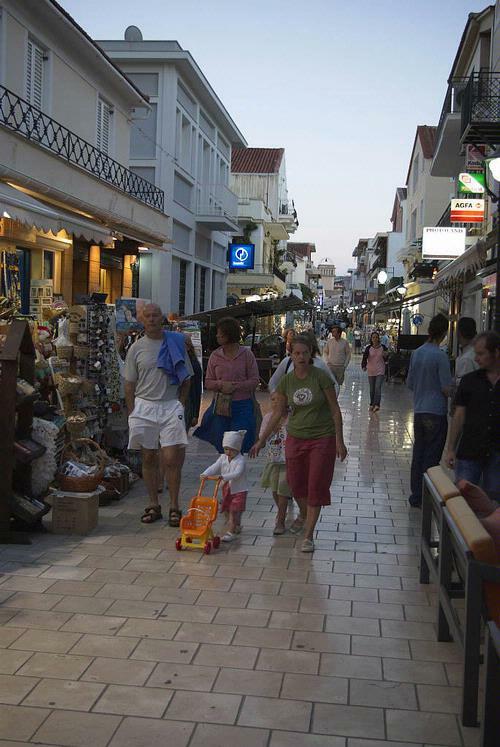 Lithostro is a traffic free shopping street with a selection of shops, bars and restaurants. Shops generally open 9am - 2pm and then 6pm- 8pm approx. Closed on Sunday. The Main Square is lined with bars and restaurants. The place to go for night life. The museum concentrates on the period of Kefalonia,s history up to the time of the Great Earthquake of 1953. Opening times 9am- 2pm Monday to Friday. This is one of the largest libraries in Greece and houses a collection of Byzantine icons. Opening times 9am - 2pm then 6pm - 8pm Monday to Friday. Opposite the Archaeological Museum. Open 9am- 2pm Monday - Friday. Just off the Main Square. A pleasant shady garden named after a former British Governor of the Island. On the outskirts of Agostoli, a large interesting collection of plants in a natural setting with a stream running through the centre. The impressive ruin of St George's Castle is near Argostoli. 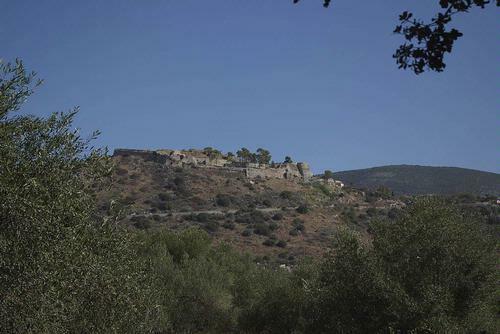 A few kilometers outside Agostoli situated in a commanding position is the fortress of AGIOS GEORGIOS (St Georges Castle). It is believed that it was built by Byzantine emperors over 1000 years ago. During the period that the island was ruled by the Venetians, it is said that over 15,000 people lived within the fortress walls. The walls are over 20 feet thick. Frescoes from the church of the Archangel, Milapedia and other rare items from the 13 century onwards. 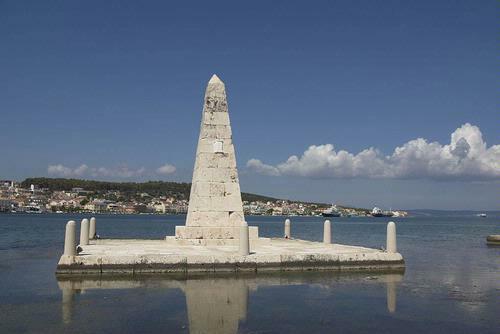 The Obelisk at Argostoli was built to commemorate the building of the bridge that crosses the bay. The Bridge of Drapano crosses the head of the bay of Agostoli. It was initially constructed of wood in 1813 by Charles de Bosset and rebuilt in stone 1839. An obelisk commemorating the building of the bridge was built about half way across. The bridge carried motor traffic until fairly recently but is now supposed to be for pedestrians only.